Adding audio or a theater system can put the finishing touches on a great home or office, no matter if that home or office is new or a few decades old. 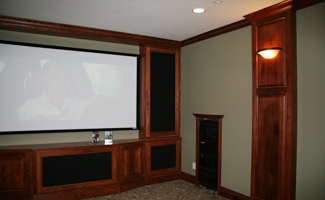 Felder Electric is proud to provide and install all kinds of audio and visual systems for its customers. Whether the need is a big-screen, high-definition television or new speakers set up throughout the building, we’ve got it covered. In addition to selling and installing Sony® products, we also install NuVo Whole Home Audio and Jamo® speaker products. If you’re looking for a better and more cost-effective audio/visual experience than what electronic stores have to offer, rely on Felder Electric. We’ll provide the right sights and sounds for your home or workplace. 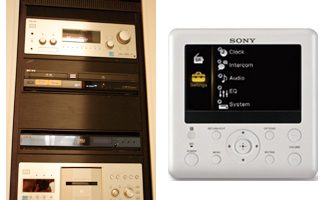 Felder Electric became a licensed dealer and installer of Sony® Home Theater and HomeShare™ HD products in 2005. Since then, we’ve been selling and installing high-definition televisions and multiple-component audio systems that rival the quality of local movie theaters. With a Sony® HomeShare™ HD installation, customers can conventiently watch or listen to their favorite Blu-rays, DVDs and CDs from any room in their home or office as a multiple deck audio system sits in one convenient space of the building. Not sure if a Sony® Home Theater System or HomeShare™ HD is for you? Check out some of the systems we’ve installed in our photo gallery or find all the system options at the Sony® USA Web site and Sony® HomeShare™ HD Web site.